Vegan Options At Starbucks! 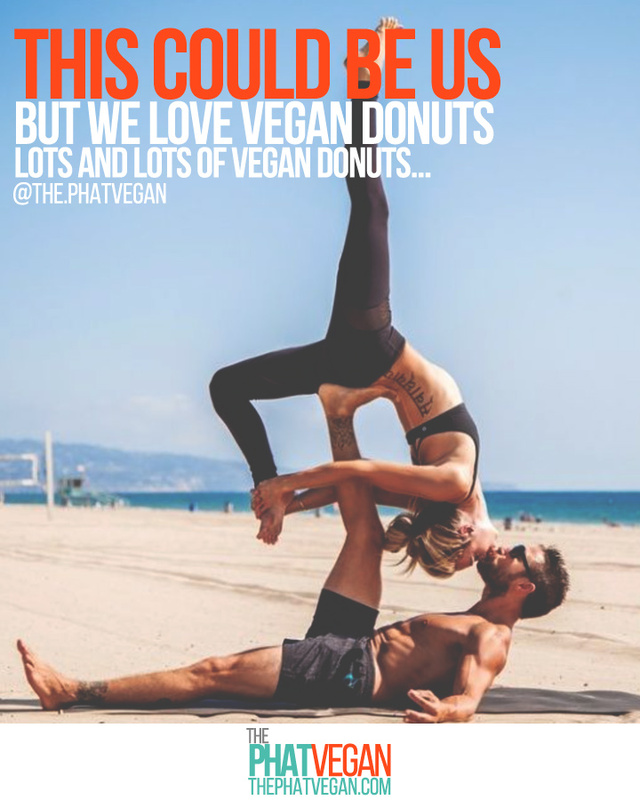 | The Phat Vegan! Home Food Vegan Options At Starbucks! 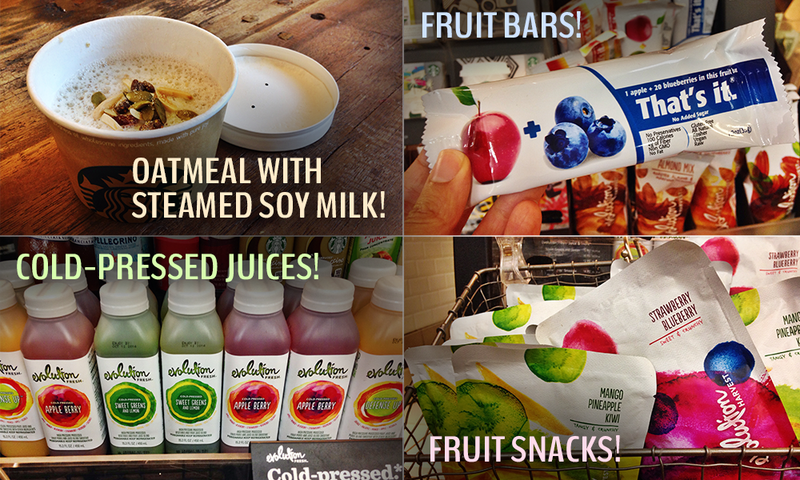 You don’t always have to ditch all your favorite places when becoming a vegan. 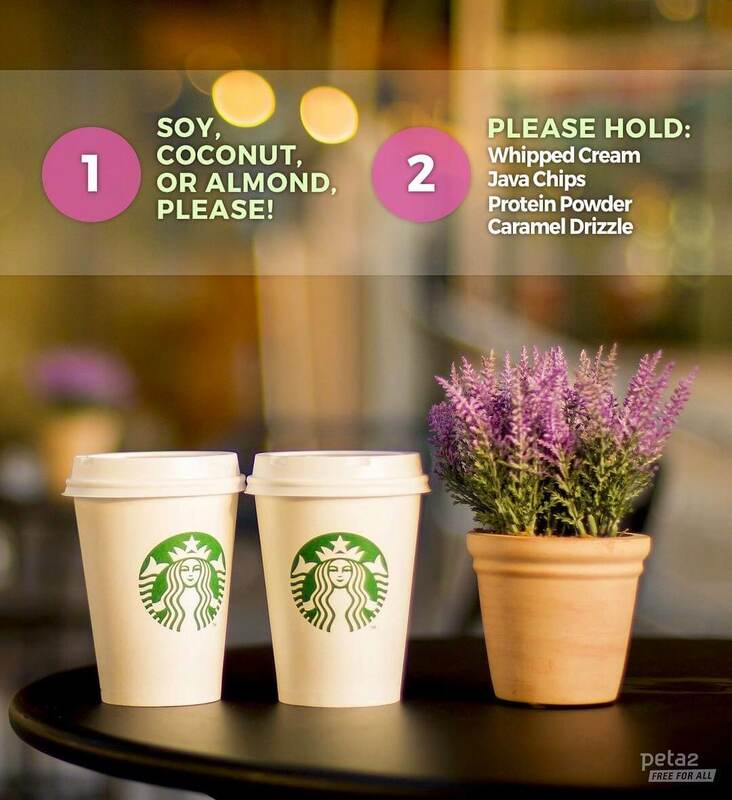 Peta came up with a great guide for vegan options at Starbucks. 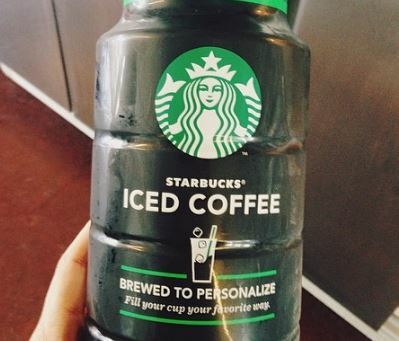 Coffee is life, and Starbucks is delivering delicious, caffeinated goodness pretty much wherever you go. And that’s cool, ’cause, believe it or not, there are tons of vegan drink options there that will keep you highly hyper, hydrated, or both—and there’s lots to munch on, too. Gotta keep up the energy level when you’re busy saving animals and the planet, right? 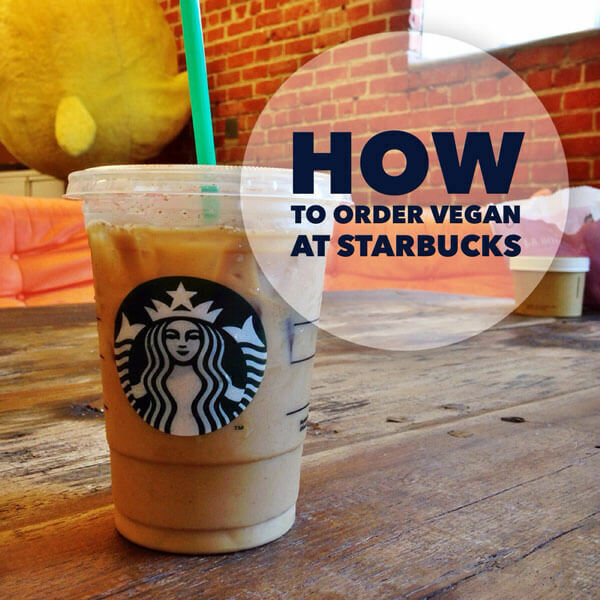 😉 Here’s your full guide to ordering vegan at Starbucks. First, remember to order your drink with soy, almond, or coconut milk. All stores carry them, and they can be used to replace dairy milk in any drink for a small additional cost. The basic drinks are vegan. 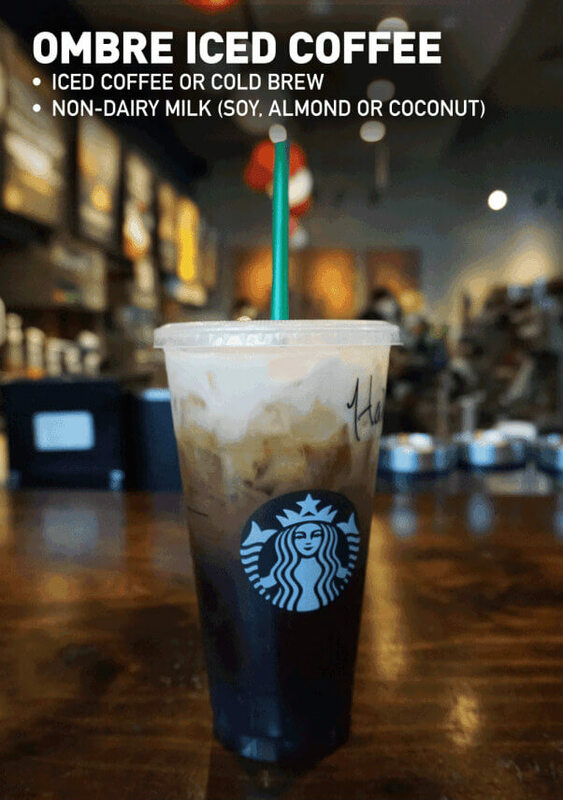 Get yourself a hot or an iced coffee or espresso drink made with nondairy milk and any flavored sweetener syrup (like vanilla, caramel, or hazelnut). 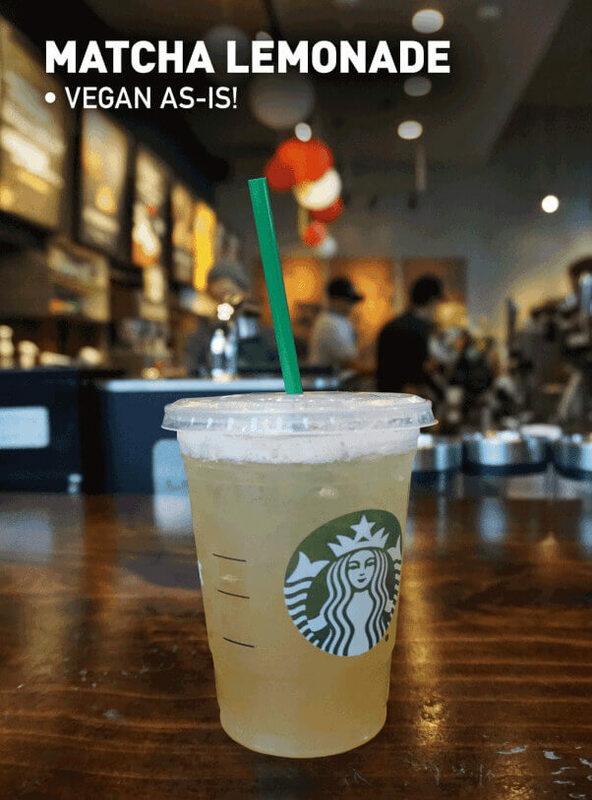 Hot or iced tea is always vegan. Many of the Frappuccino blended drinks and smoothies can be easily veganized as well. Generally, the clear flavored syrups are vegan. 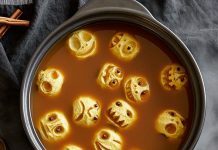 The sauces, however, are usually not (with the exception of the mocha sauce—that one is vegan, so mocha and hot chocolate fans rejoice!). Also, two words: HOLIDAY DRINKS. Fall isn’t fall and winter isn’t winter without getting all hyped up off caffeine and sugar from your fave seasonally flavored bevs. 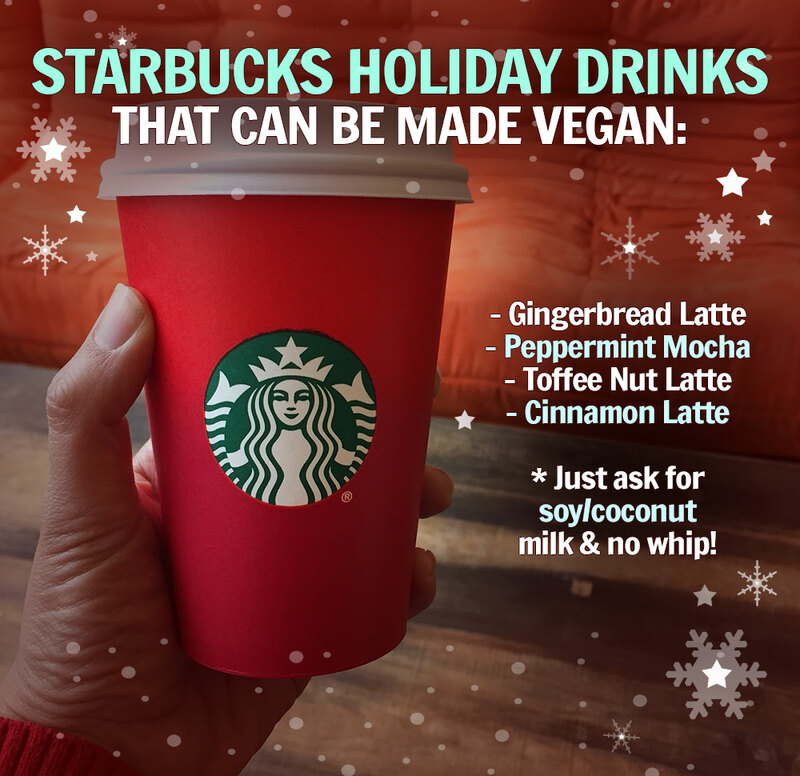 Thankfully, it’s really easy to veganize most of your Starbucks holiday favorites, too. 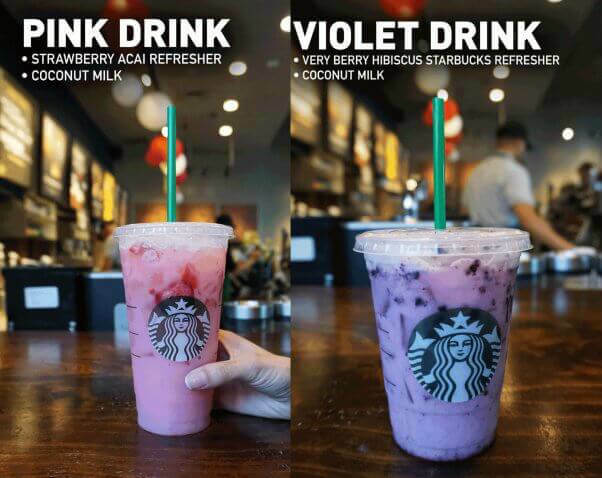 So those are the basics when it comes to ordering vegan drinks! Some drinks will be more complicated than others, of course, but for the most part, getting your favorite drink should be no problemo,fake ids—and it’s actually pretty dang simple. There’s no special ordering, substitutions, or extra fee needed in order to make fake id and make the new Hazelnut Mocha Coconutmilk Macchiato 100 percent vegan. Woohoo! This super-delicious new drink combines sweet hazelnut syrup, coconut milk, and espresso, and it’s topped off with a yummy mocha sauce drizzle. Try it either hot or iced. 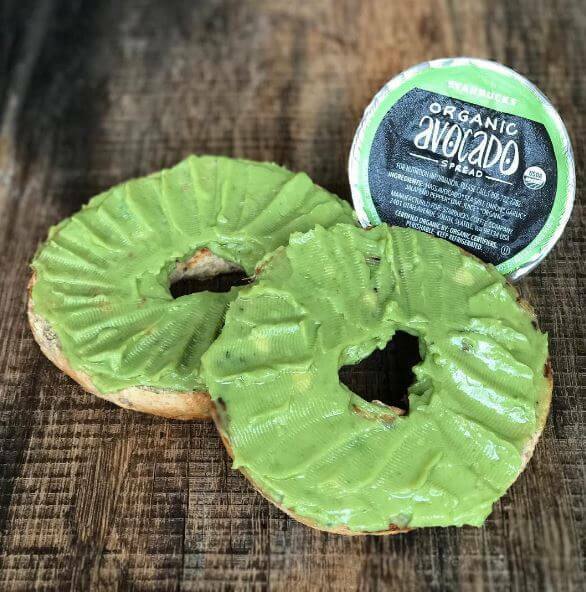 Starbucks also offers some vegan food options. Grab any of these, and you’re good to go. 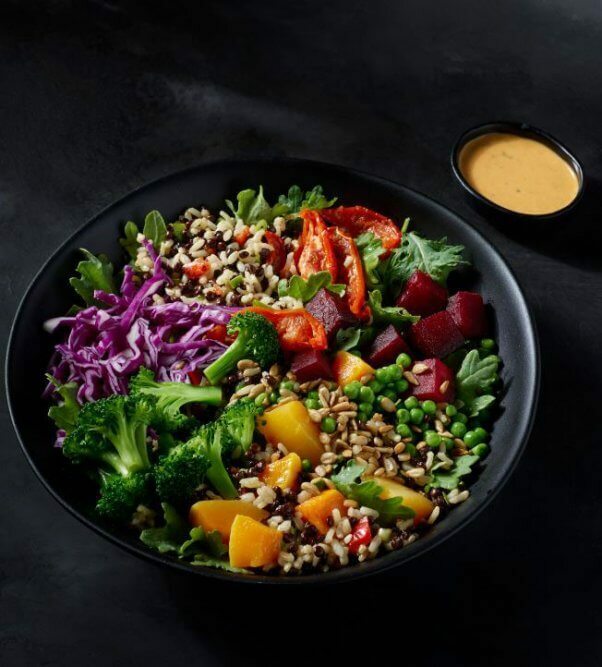 Starbucks’ new Mercato lunch menu—which is currently being tested out in Chicago- and Seattle-area stores—features a vegan Cauliflower Tabbouleh Salad with chopped parsley, mint, cucumber, tomato, and cauliflower on a bed of arugula. Bunnie Cakes Passion Fruit Cupcakes are now available in select South Florida locations. The coffee chain says that it’s rolling out the vegan cupcakes on a trial basis with the possibility of distributing them to more locations in the future. Fingers crossed! 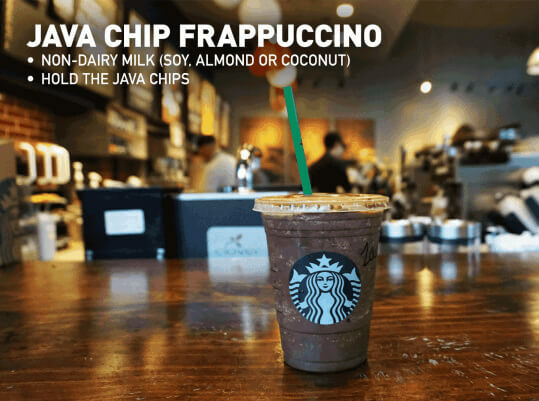 Many other Starbucks stores carry additional vegan brands and snack products that vary by region.best fake ids, So if you see a snack for sale that’s not listed here but looks like it might be vegan, read the ingredients—because maybe it is! And some super-exciting news on the food front: At Starbucks’ recent annual meeting, the company’s COO confirmed that more vegan options would be part of its expanding lunch-menu plan. We can’t wait! 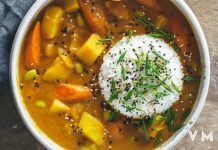 Vegan food is on the rise everywhere. 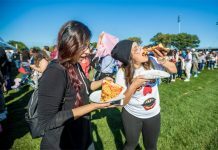 Next articleJust Say Vegan Pizza Bae!